SUVs continue to dominate the U.S. market, but the Toyota Corolla isn’t going anywhere. The sophisticated sedan is back for 2019 with plenty of personality and style. At its heart is a powerful 132-hp, 1.8-liter four-cylinder engine for the base L (or a 140-hp version for the LE Eco model) and a manual or continuously variable transmission. Take a step inside the cabin and you will find a spacious, premium interior with comfortable seats, a six-speaker sound system, a 6.1-inch touchscreen and Bluetooth and plenty of passenger room. 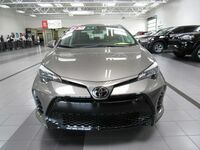 No matter which trim you choose, the 2019 Toyota Corolla keeps passengers comfortable and entertained all while delivering a smooth, dynamic driving experience. 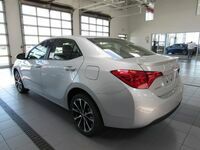 To best showcase all the 2019 Toyota Corolla is capable of, we have paired it with the 2018 Mazda3. 98 cu.ft. Passenger Volume 96 cu.ft. 41.4 cu.ft. Rear Legroom 37.6 cu.ft. 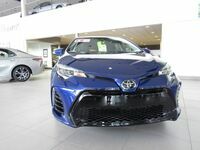 Test drive the new 2019 Corolla at Le Mieux Toyota today! Mazda’s new sedan boasts a variety of strengths, including athletic handling and a plush cabin with an easy-to-use infotainment system. The 2018 Mazda3 and 2019 Toyota Corolla also have very similar fuel economy figures. 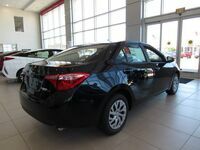 That said, the 2018 Mazda3 struggles to match the 2019 Toyota Corolla’s spacious cabin or its strong reliability ratings. 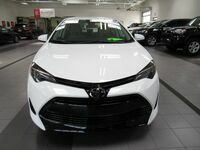 In terms of features, it’s hard to match the 2019 Toyota Corolla’s wide selection. 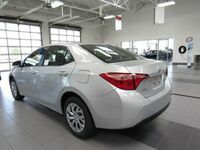 Even the base model is standard with a large selection of safety technologies, including a rearview camera, forward collision warning with automatic emergency braking, pedestrian detection, lane departure warning with steering assist and automatic high beams. 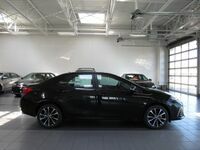 We invite you to compare the two sedans for yourself with a test drive at Le Mieux Toyota. 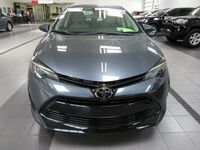 Here you will find a huge selection of new 2019 Toyota Corolla models and a helpful team of experts who can answer any questions you might have. Stop by and see us today!